18.03.2018. The journal's editor retracted the article in accordance with the author’s application and the results of further investigation of the article in the aspect of borrowing ethics by the following reasons: not all the authors of the article have been indicated, there was abuse of I.R. Saitbattalov’s author rights, the materials of I.R. Saitbattalov’s dissertation have been used in the article in the form of direct copying of text fragments without indicating the authentic source in the reference list. Cherkashina,T., Novikova, N.S., & Sayenko, T.I. (2016) Linguistic "Construction" of the Globalizing World: Linguosemiotic Aspect. 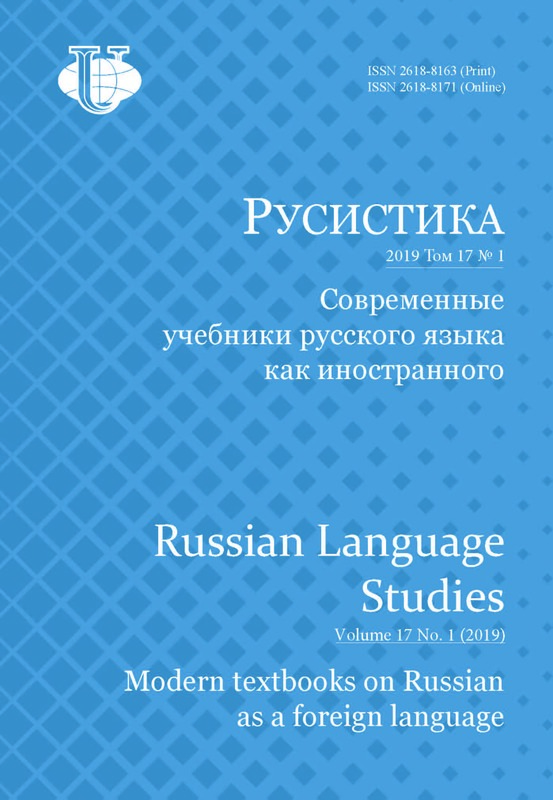 RUDN journal of Russian and foreign languages research and teaching. 1,127—135. May, 17, 2018: The article retracted by reason of duplicating 100 % of the authors’ articles. The authors have been informed about the retraction and have given their consent. Buzalskaya, E.V. (2011) Creative writing as a way to form pre-lingual world image at the lessons of a foreign language. Bulletin of Peoples’ Friendship University of Russia. Series Russian and Foreign Languages, Methods of its Teaching. 1, 70—73 (In Russ). May, 17, 2018: The article retracted by reason of duplicating 100 % of the author’s article. The author has been informed about the retraction and has given her consent. Reunova, E.V. (2015) Linguopragmatic features of non-equivalent idioms of biblical origin in Russian and English. Bulletin of Peoples’ Friendship University of Russia. Series Russian and Foreign Languages, Methods of its Teaching. 1, 73—79. (In Russ.). May, 17, 2018: The article retracted by reason of duplicating 100 % of the author’s articles. The author has been informed about the retraction and has given her consent. Shmatova, M.M. (2013) Articles of verbal nouns in English and French (on the material of economic texts). Bulletin of Peoples’ Friendship University of Russia. Series Russian and Foreign Languages, Methods of its Teaching. 3, 69—73. (In Russ.). May, 17, 2018: The article retracted by reason of duplicating 100 % of the authors’ article. The authors have been informed about the retraction and have given their consent. Kazakova, O.P. (2015) Elective training course “theory and methods of ESP teaching”. Bulletin of Peoples’ Friendship University of Russia. Series Russian and Foreign Languages, Methods of its Teaching. 1, 98—103 (In Russ. ).